Offsetting Deprivation On Children’s Health: Is Physical Activity Enough? Children living in the most socially disadvantaged neighbourhoods are at greatest risk of poor health including obesity, yet they have been shown to be the most physically active. 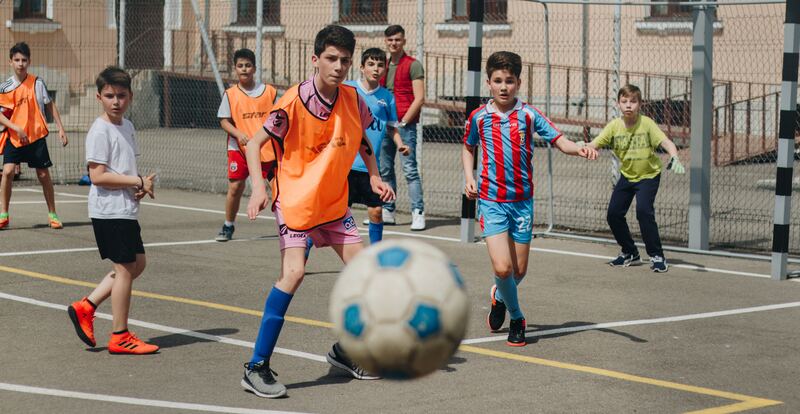 Evidence suggests that social inequalities in child obesity are widening in England and opportunities for out-of-school physical activity are becoming more exclusive. Dr Rob Noonan will share his experiences and reflections. He will also discuss some overlooked areas in the public health literature. You can also expect Dr Noonan to outline some of the current challenges that require tackling to foster more equitable environments for physical activity and child health. Understand the evidence relating to poor health among socially disadvantaged children. Describe patterns of physical activity among socially disadvantaged children. Demonstrate inequalities in physical activity opportunities and how these exacerbate inequalities in child physical activity and health. Describe overlooked areas in public health literature, current challenges and alternative approaches to physical activity and health promotion in children. Dr Rob Noonan, PhD is a Senior Lecturer in Physical Education and Children’s Physical Activity at Edge Hill University, UK. His research focuses on the role of physical activity in children’s health with a specific focus on environmental influences and health inequalities. His PhD was awarded the Professor Tom Reilly Doctoral Dissertation of the Year Award in 2018 and he has authored several journal articles on topics related to these areas. If you have any questions for Dr Noonan there will be a 15 minute Q&A session at the end of his presentation. You can submit questions via the sign up page or during the webinar by typing them into the questions box. If you cannot make the live recording, fear not the recording will be available on our website. Usually within 48 hours. If you are signed up you will be sent a link to the recording, when available.